'87 RG550! Big neck joint and all. I was totally surprised how clean it was when I checked it out this afternoon considering how much I paid for it. 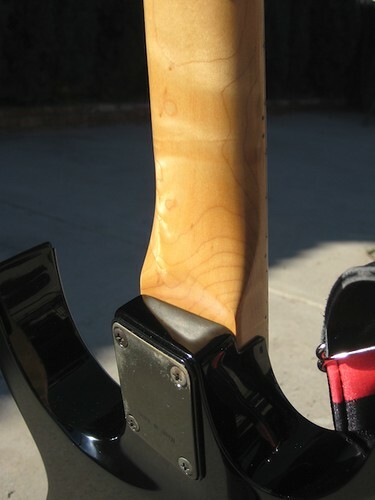 Neck is straight, the only tiny thing is a tiny bit of belt rash on the back near the upper horn and I need to buy some locking nuts. Now the question is do I do white pickups/white knobs to match my strat? That things hot. Did you get it online? I don't know why.. but I'd love to see it with a tortoise shell pick guard. Maybe I'm crazy though. Niice, and your Strat kinda has the David Gilmour thing going on. I am going to go with Jason, but one step further. I say a white guard, and white pups for that "Blackie" look. 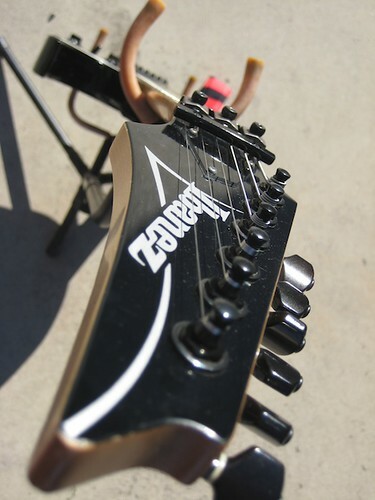 The original RG550s didn't have any markings on the pickups. Ibanez carried this over the 20th ann reissues too. Nice score.. my first ibanez back in the early 90's was a yellow RG550. 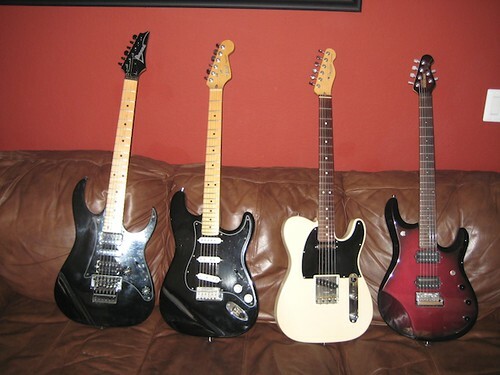 Great guitars. Personally the black/white in any combo makes it too squier looking for me... have you tried white pickups/knobs on a tortoise guard? i haven't that would probably look rad. Or mixed colors. Red/yellow/blue pick-ups. Green and violet tone knobs Aaanndd maybe a black or white mirror pick-guard. 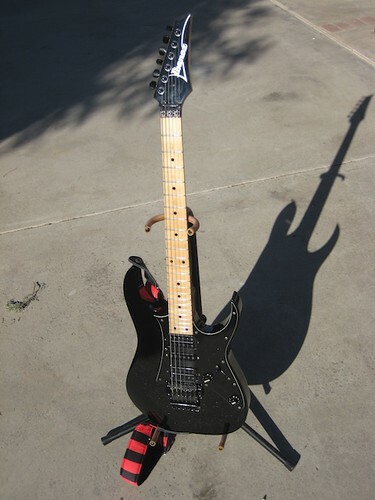 Personally I would go with the white pickguard with black pickups and knobs. 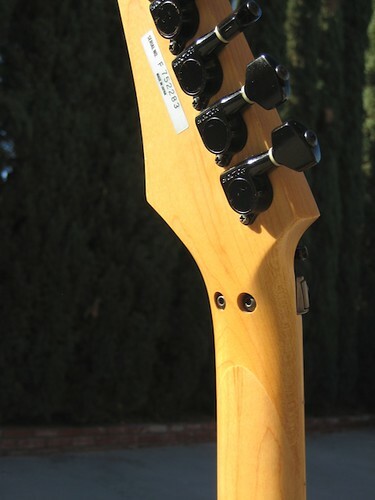 Dang the neck looks nice on that one! Pao made a good suggestion with the mirror. looking at your couch pic though I think you could use a little bit of color! Bright green pickups and knobs would be cool.